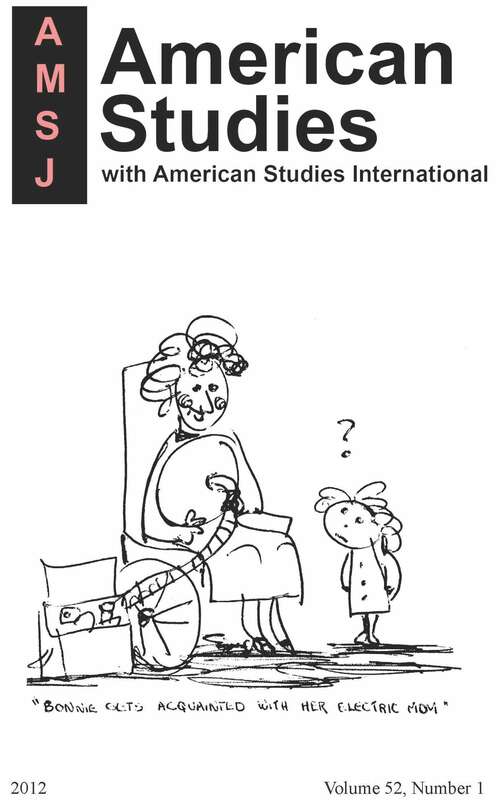 American Studies is a quarterly interdisciplinary journal sponsored by the Mid-America American Studies Association and the University of Kansas. With an editorial staff from a number of areas of study, the journal offers provocative perspectives on a variety of issues. Frequent special sections and special issues create a space for a broad discussion on a single topic. Articles on pedagogy inform the American Studies classroom. The book review section aims at keeping readers conversant with contemporary scholarship. American Studies first appeared in 1959, and has 1,000 current subscribers. In 2005 it merged with American Studies International, and welcomes submissions with an international perspective. The blog serves as a supplement to the journal. It aims to encourage discussion around contemporary issues in both American Studies and broader public culture.